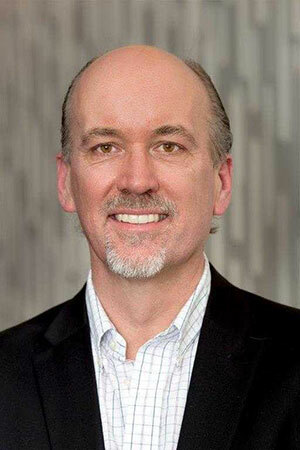 Environmental Science, a business unit of the Crop Science division of Bayer, appointed Will MacMurdo to head of the U.S. Turf and Ornamentals business. In this role, MacMurdo will lead strategic planning and commercial operations for the Turf and Ornamentals business, advancing the goal of providing industry-leading solutions and trusted agronomic advice to fuel success for customers in the golf course management, lawn and landscape and production ornamentals markets. MacMurdo was most recently director of Environmental Science Canada. With Bayer, he has also held leadership roles with Environmental Science in Australia, France and Canada. Prior to Bayer, MacMurdo held key leadership roles with Aventis and Rhône-Poulenc Canada. MacMurdo holds a Bachelor of Science from Dalhousie University Faculty of Agriculture. LandCare promoted Jeremy (Beau) Saucedo to branch manager in the company’s Portland Arbor branch. Saucedo began his career in the green industry after graduating trade school, where he learned how to become an arborist. He eventually became a Certified Arborist and has gained more than 15 years of experience in the field. “Beau has shown exceptional leadership over the past year, and his passion for arboriculture makes him the perfect candidate to lead our tree team in Portland,” said Karen Wilkinson, regional vice president of the Northwest. Beau joined LandCare in 2015 as an account manager, quickly becoming a leader in his branch. LandCare also hired Chris Randall as branch manager in the company’s Wilmington, N.C., branch. Randall has deep roots in the green industry, having grown up working on his family’s farm. He went on to earn associate degrees in agriculture and turf from North Carolina State University and is an NALP Certified Landscape Manager. He brings more than 30 years of experience in commercial and residential landscaping to the team. John Marshall has been named president & CEO for Earthway Products. Marshall comes to Earthway with experience in operations, product development, strategic business development, sales and customer support from the agriculture, control systems and commercial vehicle industries. Most recently, he held senior-level positions in the areas of sales, marketing, operations, engineering and customer support for Chore-Time Brock, Spartan Motors and Case New Holland. In other company news, Lon Mast will assume the role of executive vice president and CFO. WorkWave added Michael and Philip St. Jacques as agency principals to lead and drive forward WorkWave’s ContactUs digital marketing agency. With a combined 50-plus years of experience, the addition of the St. Jacques team to WorkWave will enhance ContactUs’ full spectrum of digital capabilities, adding marketing strategy, branding and campaign services to advanced SEO, digital advertising, SEM, design, social and reporting/analytics capabilities.